1. Anti-carcinogenic properties. Do you want cancer? That's what I thought. Cabbage contains anthocyanins, which help your body fight off cancer. And considering there are many different kinds of cabbage - purple, green, white, I'm sure you can find a cabbage containing recipe that uses one of them and appeals to your palate. 2. Weight loss/maintenance. 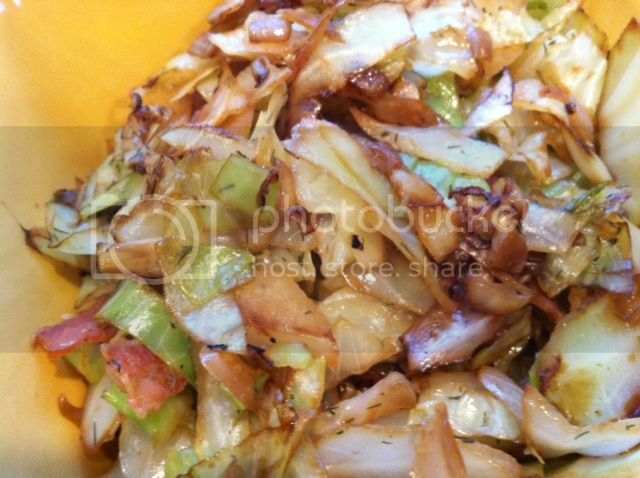 Cabbage is low in saturated fat and cholesterol while containing a significant amount of fiber. That's a great equation for a small waistline. Because cabbage contains high amounts of fiber, your belly will be fuller for longer - that's a weight loss WIN. 4. Strong Bones. High in vitamins C + K, cabbage consumption helps the body fight against infectious diseases and free radicals while keeping your bones strong and warding off osteoporosis. 5. Do you really need another reason to eat cabbage? Listen up. Cabbage contains essential vitamins such as riboflavin, pantothenic acid, and thiamin as well as the following minerals: calcium, potassium, phosphorous, manganese, iron and magnesium. Eat. More. Cabbage. In a large skillet, heat olive oil over medium heat. Add the ground beef/turkey and onion. Cook, stirring until meat is no longer pink and onion is tender. Add the garlic and continue cooking for 1 minute. Add the chopped cabbage, tomatoes, tomato sauce, pepper, and salt. Bring to a boil. Cover and simmer for 20 to 30 minutes, or until cabbage is tender. Serves 6 to 8. I digress. Tonight, I wanted to try something new with my lonely head of cabbage. I was looking for something simple seeing as I didn't have much in my empty fridge, so I settled on a Braised Cabbage recipe. Directions: In a large skillet or wok, melt oil on medium heat. Add onion and cook until translucent. 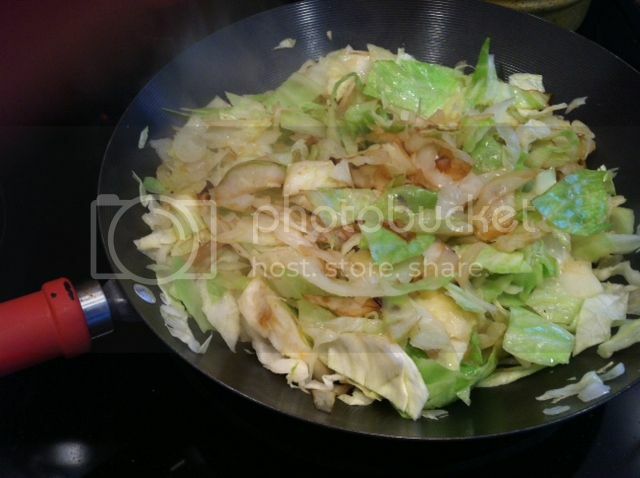 Add cabbage and cook until tender, stirring often. Be patient. In a separate pan, cook bacon until well done and crispy. Once cabbage is soft and carmalized, add dill, salt and pepper. Continue to stir until done. Crumble bacon strips on top and mix together. The raw cabbage cooks down quite a bit when added to the heat. My head of cabbage made about 2 servings. It's a simple dish, but unexpectedly sweet and very filling! I think next time I might poach an egg and enjoy it on top of a bed of braised cabbage! Yum! Total Cost (approx): $4.84 for 2 servings. Cheaper than the dollar menu and a whole lot better for you!